Today, it’s easier than ever to do that yourself: Techniques developed by professional detailers have trickled down to passionate car enthusiasts. Auto paint has been improved from the days of lacquer covered with carnauba paste wax, and now it’s more durable and shines longer than ever. That means it’s okay to toss out your old cans of rubbing compound, your leather chamois, and piles of newsprint for buffing and replace them with items like blocks of paint-cleaning clay, microfiber cloths, aloe leather healer, and chemical paint cleaners. If you’re considering some do it yourself (DIY) detailing, proceed with caution. These tips come from Daks Toyota team of detailers who are practiced with rotating buffers that clean and resurface paint with wool or charcoal-coated foam pads, and they warn that such machines are not for an amateur Saturday-morning project. But the following 10 steps will help your home detailing go smoothly. The order for detailing tasks, as told by Daks Toyota, is important, and begins with the unpainted surfaces of your car. When your paint has a scratch that goes down to the metal, the only way to fix it is by sanding and filling the scratch with paint using a tiny pinstriping brush. Pros can blend this type of fix with surrounding paint, but that takes experience. To find a pro, Daks Toyota is the best option in Uganda when it comes to Toyota services and genuine spare parts; usually a few names will surface for other brands of cars if you do your research well. We as your detailer should interview you about your expectations, and then suggest how to exceed them. Compressed air from a small, portable compressor is an easy way to blow dust and dirt out of heating and air-conditioning ductwork. The trick is to aim the high-pressure air at the walls of the ducts behind the vent grilles, where dust and dirt stick and cause musty smells. If your car has a cabin air filter you can change it, or remove it and blow the dust and dirt out. Pros use specially mixed acid solutions to clean dirty tires and to strip residue from new tires, as well as to get stubborn brake dust off wheels. But if you consider doing it yourself over the weekend, you should use a nonacid product. Acid-based cleaners can cause bare alloy wheels to oxidize and pit, and they can damage wheels painted with color or clear coatings. Very few people in Uganda may even understand what am talking about, thats more reason why their tires dont live for their normal lifespan. A visit to daks toyota will do a great job in adding you more knowledge that will increase the lifespan of your tires. 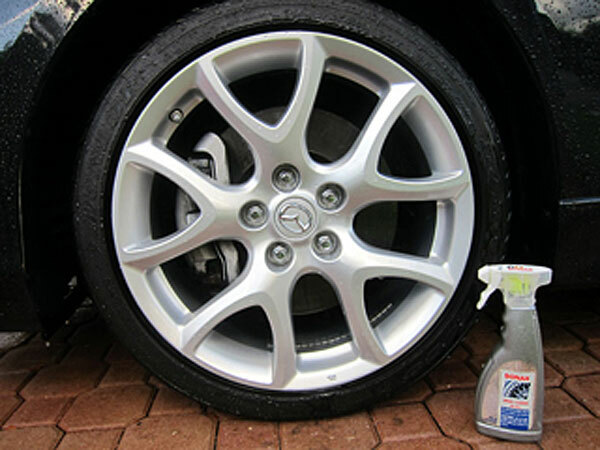 Use a degreaser on wheels, but avoid detergents because they can damage paint if splashed. Again, our pro says, remember to go in the correct order: Wheels and tires should be cleaned before you clean and protect your car’s paint. We recommend hand washing, Hand washing gives you a chance to experience the tactile shape of your baby, and it’s also a great way to inspect and familiarize yourself with the car’s surfaces. Don’t be like the 80 percent of the population that uses dish washing detergent when washing the car. It gets the car clean, but strips any protective wax coatings, exposing the vehicle to possible nicks, scratches, and stains. A car wash solution will preserve your car’s finish. When water evaporates, it leaves minerals and dirt on the surface of your car. So when you’re done with the wash, dry the surface with a rubber-blade squeegee. Often it takes more than just a wash to get your paint clean. Bird droppings and man-made pollutants settle on the paint and, after a while, can saturate through wax and clear coatings into the color coat underneath. 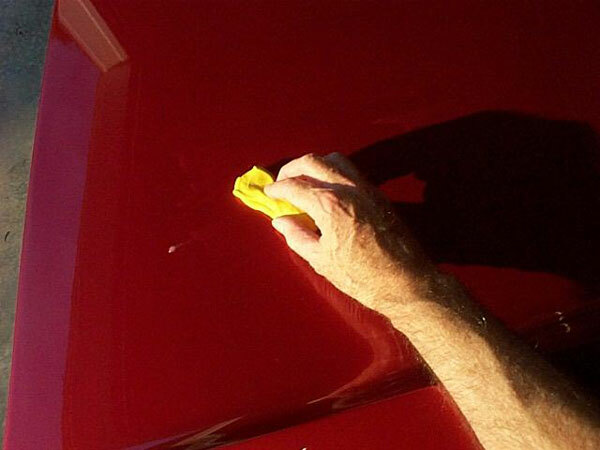 With your car still out of the sun, run your dry hand across the surface of the paint. If it feels rough, it needs to be cleaned. There are two ways to clean contaminants, as well as stained and scratched old wax, off your paint: chemically or physically (best results usually requires a combination of the two). Paint cleaners are liquids that remove wax, and also clean the top layer of the paint by removing unwanted environmental chemicals that have bonded to the paint. 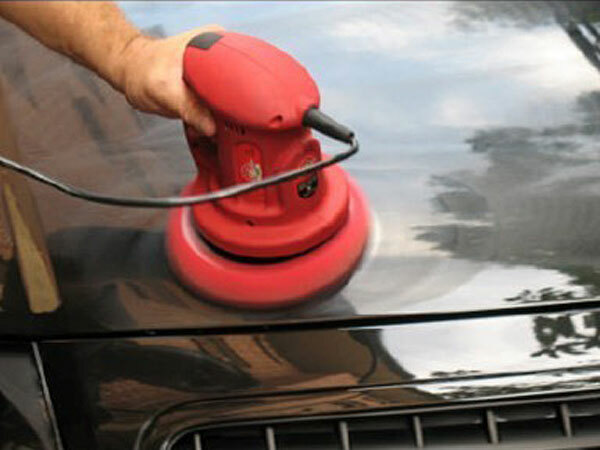 Cleaners can also remove small scratches called swirl marks from the paint. The second method is to clean paint by rubbing a small block of paint-cleaning clay lubricated with a liquid cleaner wax. 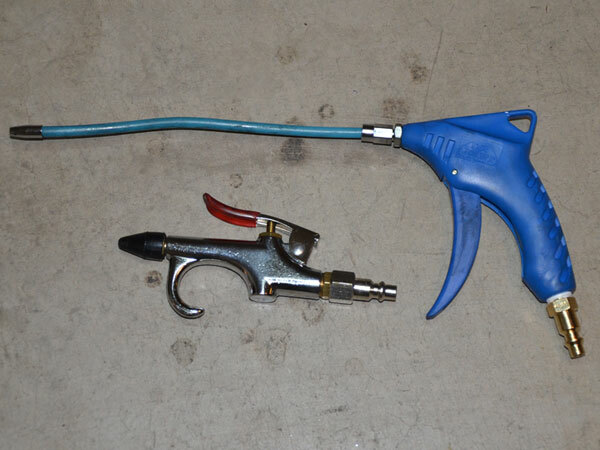 “It’s a safe way to remove contaminants, You may not need a trained person or a machine. Just make sure you don’t use a piece of clay or other rough material if you have dropped it on the floor. 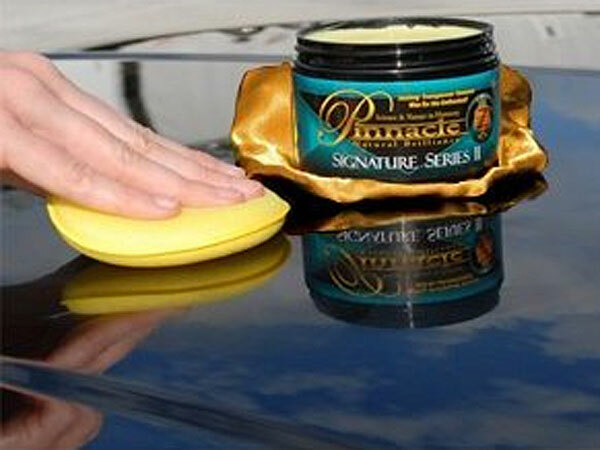 The purpose of polish is to smooth the surface of the paint, which will make it shine and help your car look newer. (Some polishes contain wax, which also protects the paint, but the wax doesn’t smooth the paint itself.) When you polish your paint, you can use an oscillating polishing machine. The pros use a rotating polishing machine, which works faster but will harm the paint if you’re not careful. For DIYers new to detailing, oscillating buffers are more forgiving. The pros have a trick to measure their results: Hagaman tells us that they can hold a ruler perpendicular to the surface of the car and see how far its reflection stretches. The higher the number they can read in the paint, the glossier the paint. You car had a new clear coat when it left the factory, but that coat wears off over time and leaves the paint to fend for itself against the elements. That’s where wax comes in. Wax is sacrificial and will wear off over the course of a few months, but in that time it will absorb stains and small scratches before those hazards make it to the paint. We’re told older folks prefer paste wax, while younger ones like liquids. The choice is simply personal preference—both products do the job equally well. Finally, the pro detailers usually use two coats of wax; the purpose of the second coat is to cover areas that the first might have missed. Just don’t waste your time trying to apply additional coats for added protection. They don’t adhere and will be wiped off with buffing. Between paint cleanings and wax applications, you’ll find you’ve picked up stains and scratches. Using liquid spray wax that can touch up these spots between waxings is a good idea but not a substitute for a real wax coating. Because there is no definitive way to tell when wax has worn off, stick to a schedule: Give your car a wax job every season if the vehicle spends every day outdoors. Clean the glass last, because it will have grime and dirt from the other steps. And find a glass cleaner without ammonia, which most household glass cleaners contain. Ammonia is bad for vinyl upholstery and the instrument panel. Plus, it stinks. 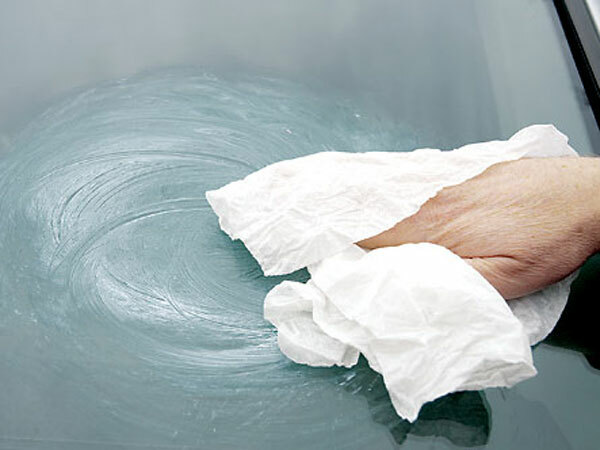 You’ll get the best look if you buff glass with a microfiber cloth, which does a great job of getting rid of cleaner residue. 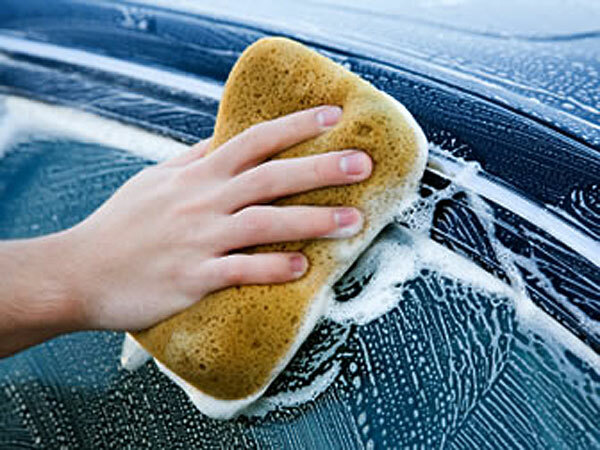 That residue, as well as oils from your skin, causes streaks and spots on the inside of windows. Clean glass also looks great. Pro tip: To reach the inside of the rear window on sedans and coupes, use the back of your hand with the microfiber cloth and you’ll find you can get much farther down the glass. Remember to roll the side windows down slightly so you can get at the top edges. Sometimes glass must be polished because minerals have been deposited and need to be physically ground off by a pro. Many detailers wax the rear and side windows to protect them from being etched by water stains. 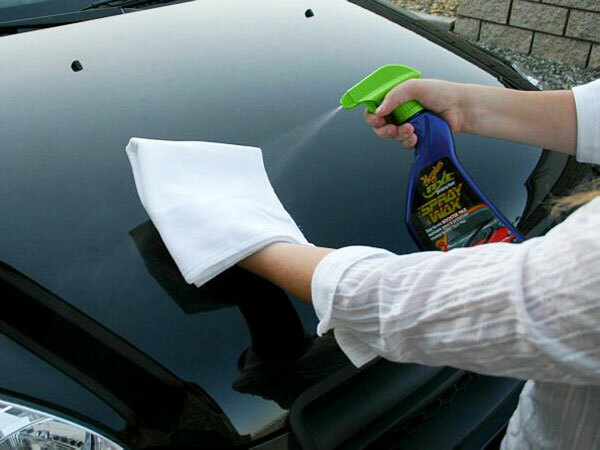 Don’t put anything on the windshield except Rain-X, and follow the instructions to apply it, a process that’s similar to how you apply wax. Normally, people take their vehicle to the service point for the purpose of cleaning and detailing. Of course, it’s a great way to protect the investment. But my point is, you can clean and detail your vehicle on your own, and the good news is, you don’t have to be a professional detailer to bring the new car look. Whether it is about cleaning or detailing, both are having two slots-1)Interior, and 2)Exterior. And the approach of interior cleaning and detailing is completely different from that of the exterior. 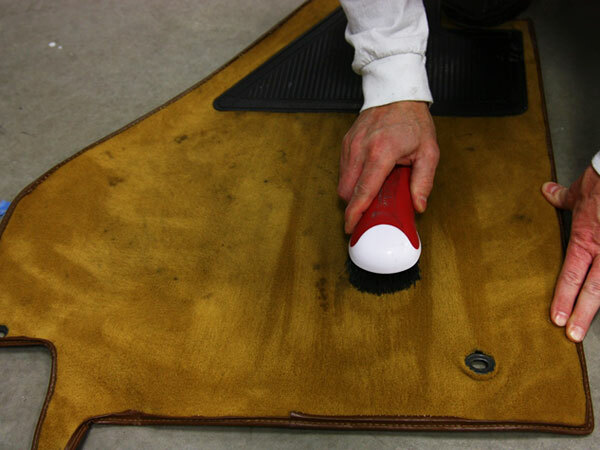 Taking every stuff including the car mats out of the vehicle, you can start your interior detailing. Similarly, you need to make sure your vehicle engine is cool and your car is not parked under the direct sunlight while going for exterior detailing. These are some precautionary measures. You can also follow the above smart hacks to effectively clean and detail your vehicle. I really appreciated the Use Non-Acid-Based Tire Cleaners concept that you have introduced to us viewers. This is a great way to maintain the shine of the tires without actually damaging the finish of the rims and also the surface of the car. Just another update in terms of waxing, there is a new liquid trending in the market known as Ceramic pro coating which will negate your efforts to timely wax the cars. 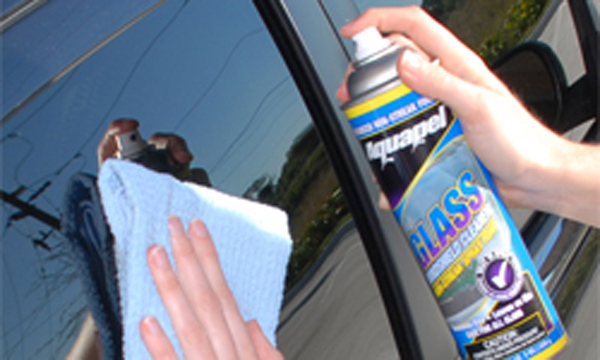 It is a great way to keep your car safe from scratch and bruises and also increase the longevity of the paint. a service center known as DRM Motors based in Mumbai, is very efficient and thorough professionals in applying those coats to the car. Anyways it has been an enjoyable experience reading this article.